Menswear fashion and wearable tech company Machina has launched a Kickstarter campaign to raise the $74,500 funding it needs to bring its first product to market. Independently from its tech features, it’s worth noting that the jacket looks like a well-designed sportswear fashion item – I saw a prototype a few weeks ago and I can confirm that this is the kind of clothes a man could want to own even without knowing about the embedded sensors, which are almost invisible. As a matter of fact, design is an essential part of Machina’s ambition, which is to create wearable technology that is functional, fashionable, and adaptable. 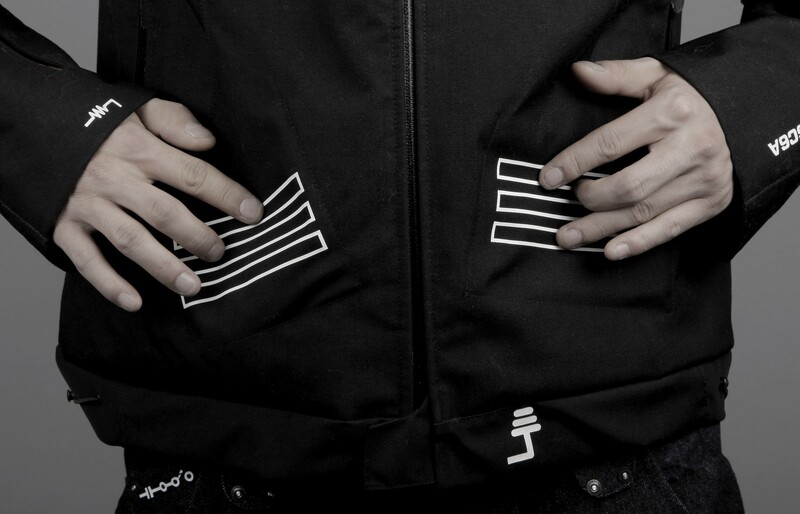 While the Midi Controller Jacket was first unveiled a few months ago, the project was delayed by Machina’s need to fine-tune details to make sure that it could be worn as a regular jacket, while being fully customizable. As a result, all sensors and buttons can be configured by the owner. In Machina’s own words, this means that the jacket is only a platform, to which users can add new functionalities, for instance to control an iPod or interact with Kinect. More importantly, it plans to open an open-source Hackstore to let the community share the coolest hacks. 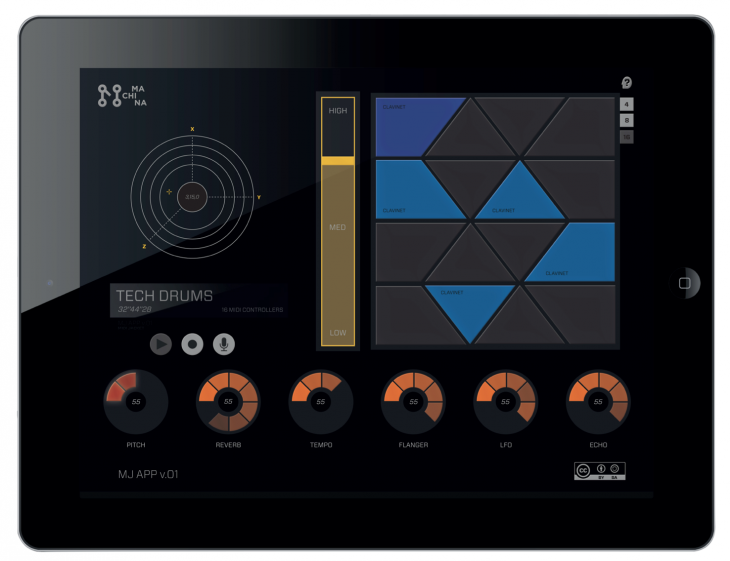 While this means that the jacket’s appeal could go beyond musicians, Machina is still making sure that it will cater to their needs with dedicated features, such as a VST plugin to enable wirelss connection to music software. In addition, it is working on Android and iOS apps featuring sound capture, sound selection and key mapping. Machina’s team of designers and developers is based out of Mexico City, where it graduated from the local academy of Telefónica’s accelerator, Wayra. As some of you may remember, it was one of the 17 companies that were pitching at Wayra Global Demo Day in Miami last month. The MJ v.0.1 is only the first one of six jacket models that Machina hopes to launch, as part of its “Wearable Machines Project.” Before it does, it will need backers to support its project and help bring production costs down. If you decide to back the crowdfunding campaign, you will need to pledge at least $285 to pre-order a jacket, which is set to retail for a hefty $450. Machina seems aware that the bid is quite high, and it has also included nice rewards for lower pledges, such as geek-enhanced T-shirts and hoodies – check out their page for more details.